Modern vertebrate endotherms (birds and mammals) have high rates of metabolism, elevated body temperatures, usually tight control over body temperature, and a reasonable scope for further increases in metabolism through locomotor activity. Vertebrate ectotherms, on the other hand, rely on behavioural thermoregulation and cardiovascular adjustments to facilitate warming, and generally lack specific biochemical and cellular mechanisms for sustained, elevated metabolism. Nevertheless, the ancestral condition to endothermy is thought to resemble that of many extant reptiles, which raises the question of the origins and selection pressures relevant to the transitional state. Amniote phylogeny showing two origins of endothermy and the placement of ectothermy within the “reptilian lineages”. Adapted from Hedges, 2012. 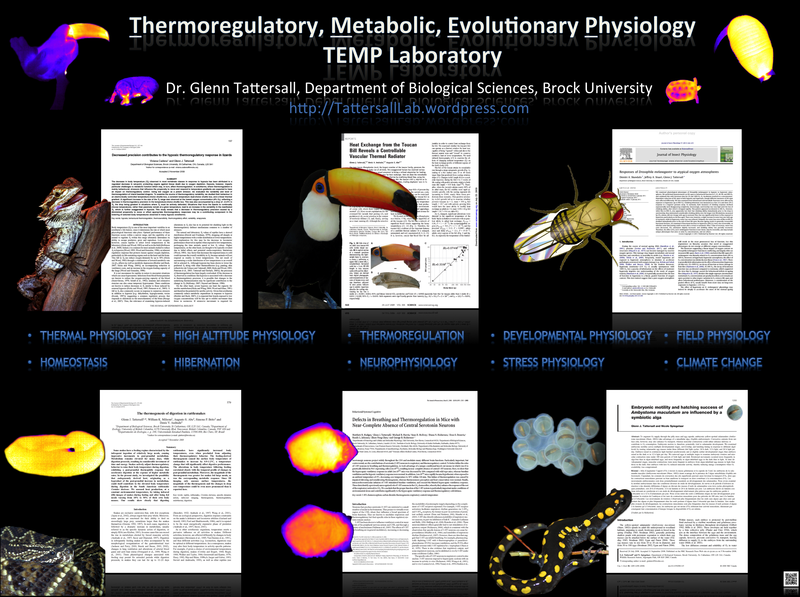 Numerous hypotheses have emerged to explain the multiple origins of endothermy in vertebrates, including thermoregulatory, locomotory, and reproductive activity as possible drivers for these sustained and elevated metabolic rates. In this context, all possible heat generation and heat conservation capacities need to be considered. Since lepidosaurs are a sister group to the archosaurs, understanding how a novel form of endothermy evolved will open up opportunities to test the compatibility or incompatibility of the various endothermy hypotheses, with the potential to elucidate and resolve long contentious ideas in evolutionary physiology. In short, heating up to mate is the take home message from the tegu measurements, although we have much left to do to understand how they do this and its link to the evolution of endothermy in general. Tegu lizards are typically ectothermic (left), but during the reproductive season (right), they plug up their nests and/or alter control over peripheral blood flow (to change thermal conductance), crank up heat production and become facultative endotherms. Images from Tattersall et al. (2016). Tattersall G.J., Leite C.A., Sanders C.E., Cadena V., Andrade D.V., Abe A.S., Milsom W.K. 2016 Seasonal reproductive endothermy in tegu lizards. Sci Adv 2, e1500951. (doi:10.1126/sciadv.1500951).